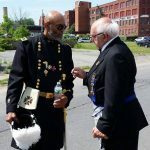 Brotherly history was made today in Buffalo New York at one of the nation’s largest Juneteeth festivals, where brothers from our jurisdiction marched in the parade with our Prince Hall brethren. 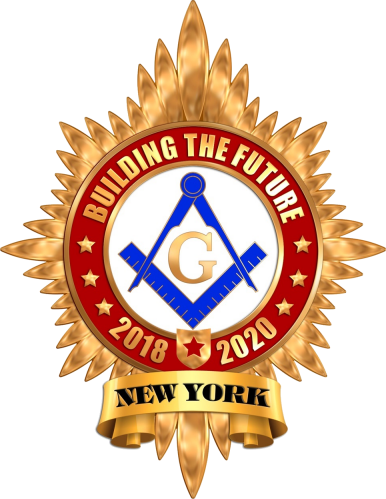 Braving several hours and a mile and a half of asphalt in over 90 degree weather, RW Ron Tetro, W Mark Robson, and Bro. 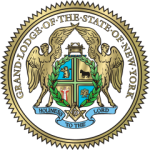 Ken JP Stuczynski accompanied Brothers and Grand Lodge officers of the Seventh Masonic District of the Most Worshipful Prince Hall Grand Lodge of the State of New York, along with representatives of York Rite and Sisters from the Prince Hall Order of the Eastern Star.